To build and develop a startup are not easy tasks, it demands a lot of commitment, hard work and enormous flexibility. Thus, for our monthly meetup we invited Maris Dagis of Sellfy to give a talk about drawbacks and successes in a startup business, and we indeed got a first-hand experience story of what it took to score high! A key note to take from this meetup and apply to your startup career? Learn to hustle is our pick! No matter how great you and your product are, the real acknowledgement comes when your thoughts match with the thoughts of your customers, partners and media. This acknowledgement then serves as a long-term relationship where you hustle, get advisors (preferably with money) and maintain a chain of feedbacks that let you measure, learn and begin hustling again. Therefore, communication, even though it may be adjusted or guided into a different direction, never stops, and the art hides in your ability to detect your own strengths and weaknesses that will affect your startup and constantly improve them. Want to hustle? Come over to our next meetups and create new connections! Plus, don�t forget to like us on Facebook and follow on Twitter! 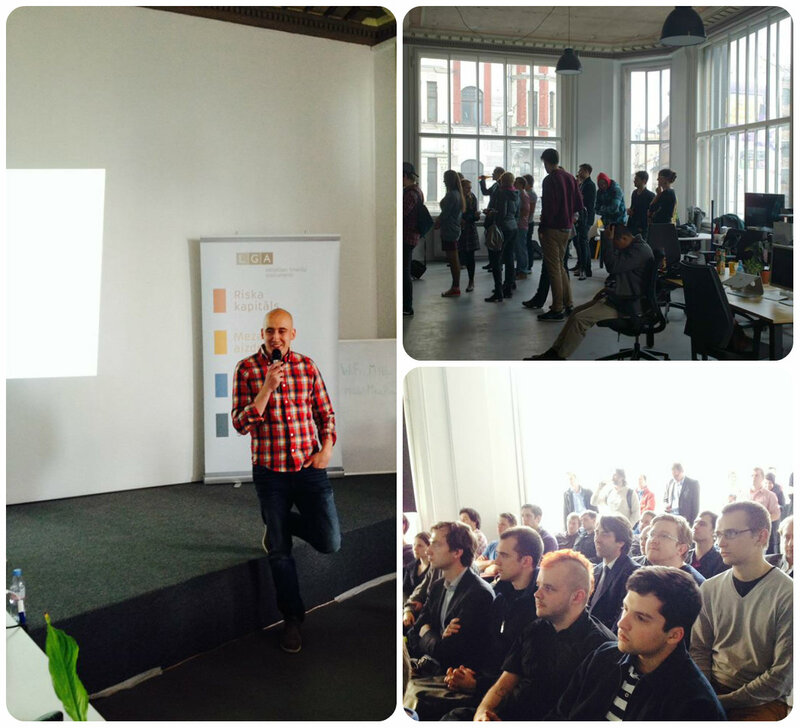 This meetup was hosted at The Mill and was possible thanks to our sponsor Latvian Guarantee Agency.